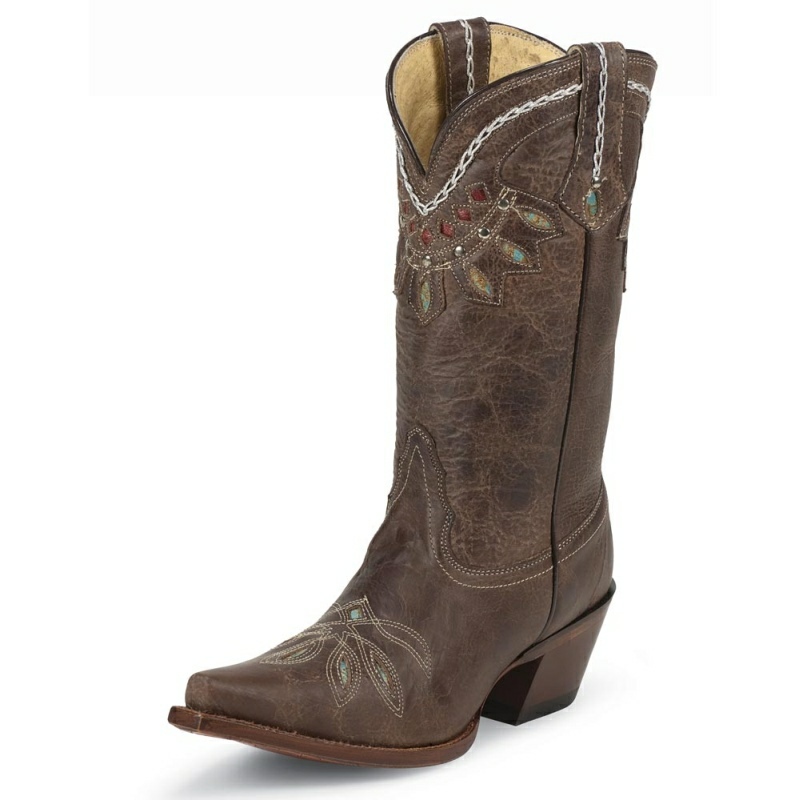 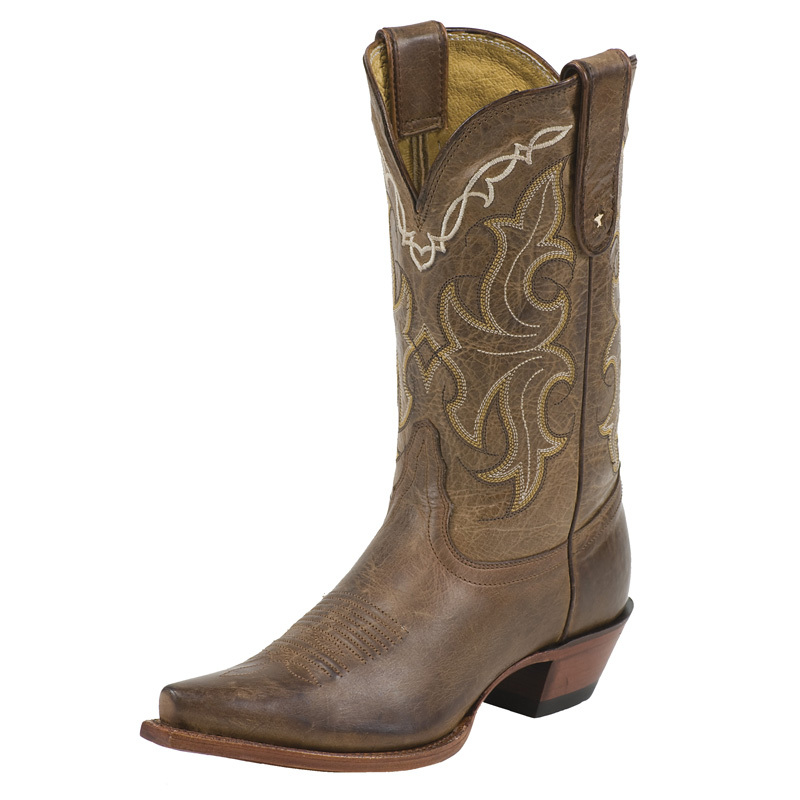 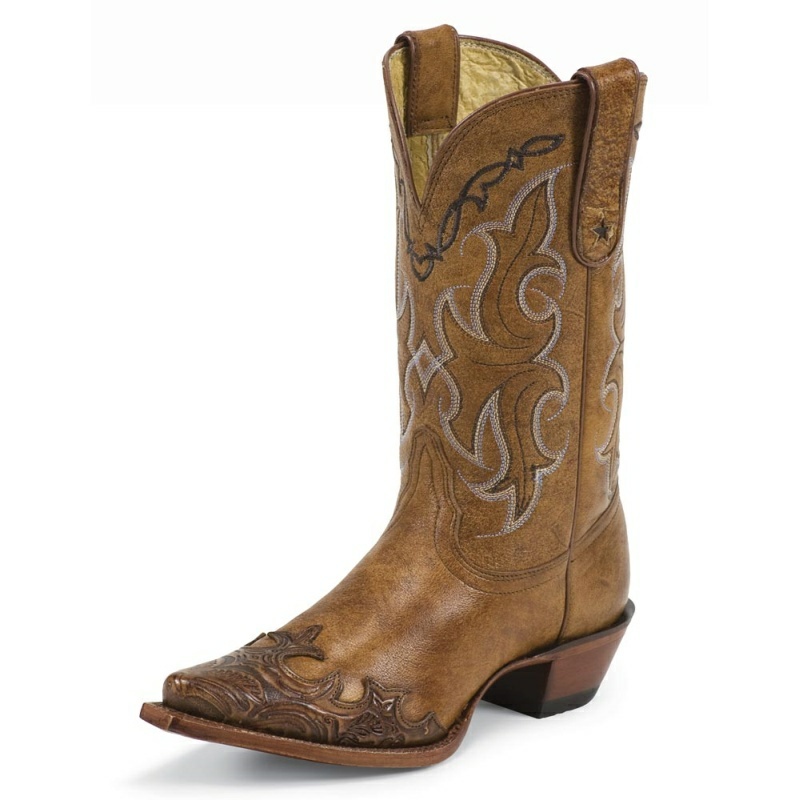 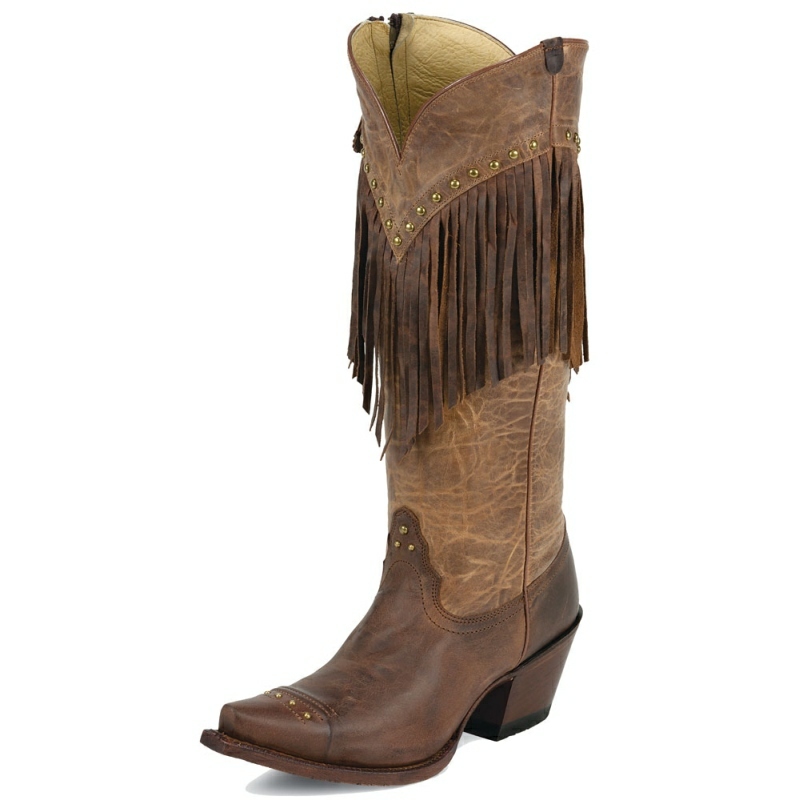 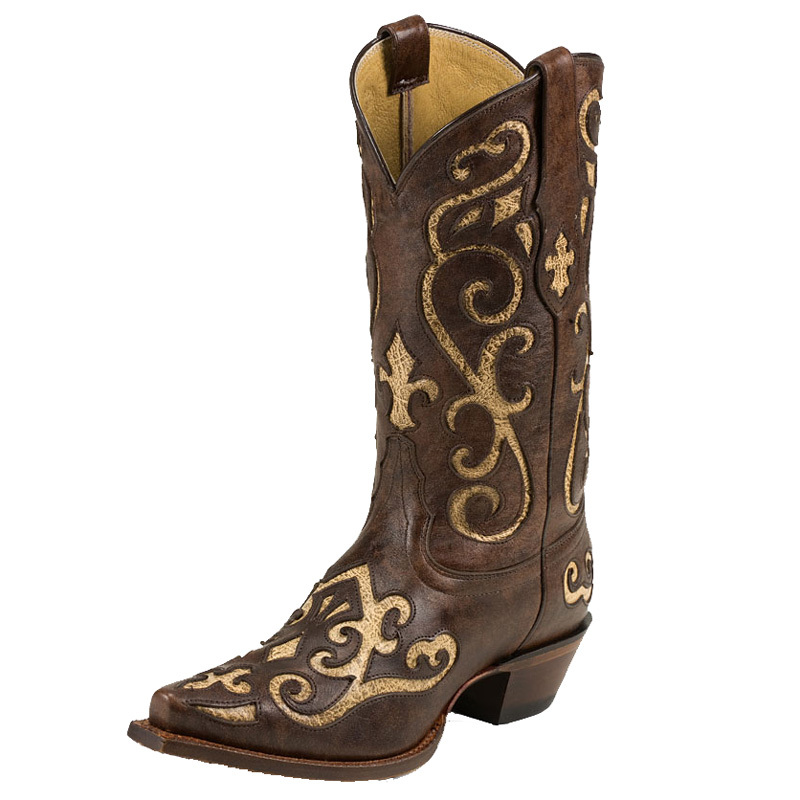 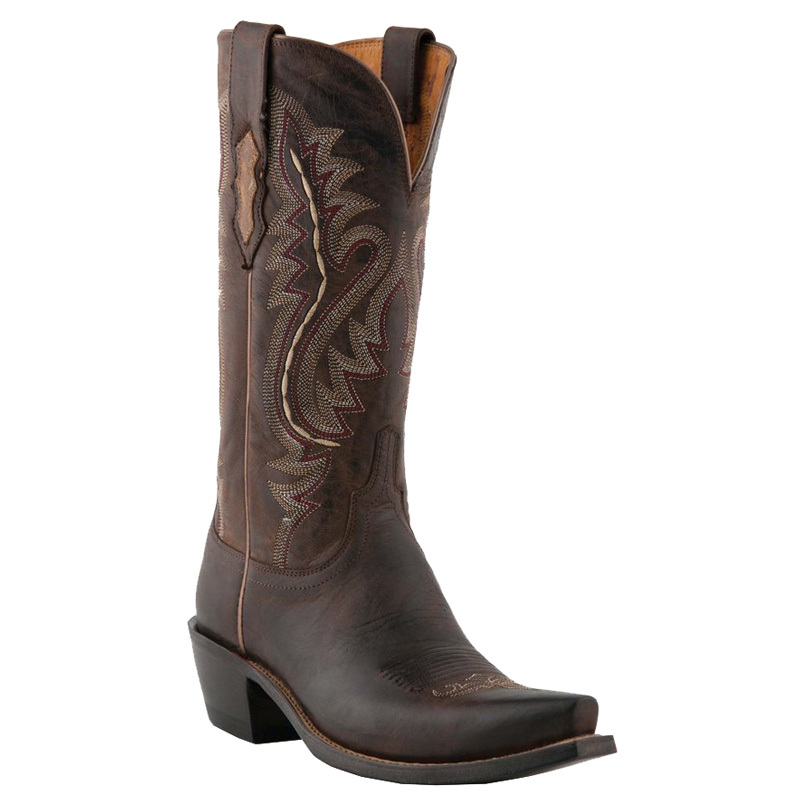 This fashionable, Western boot is intricately designed with no attention spared to every detail. 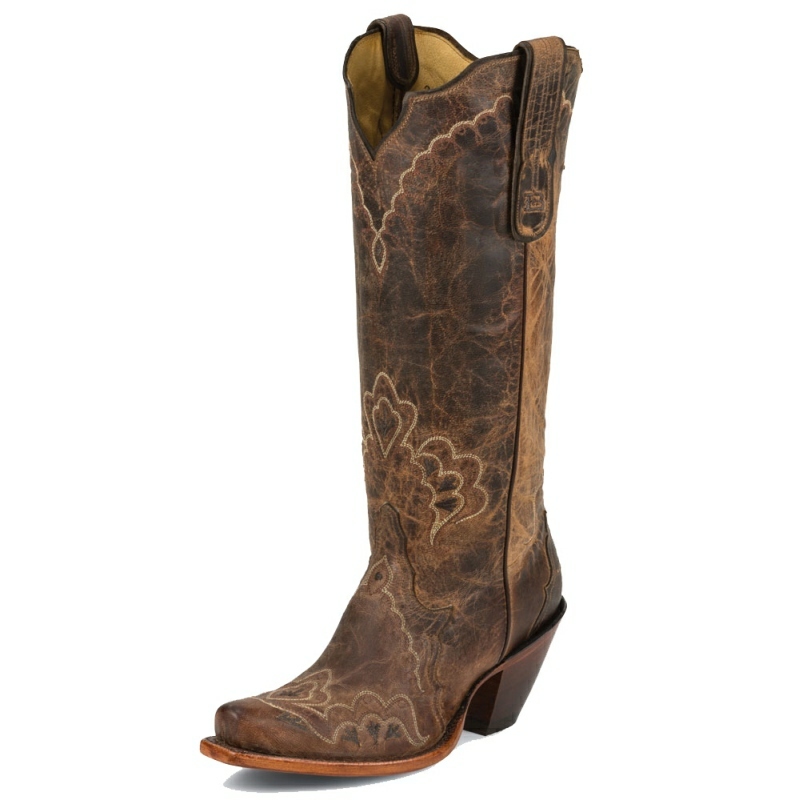 From the stitching that runs alongside the hand-tooled design on the shaft, to the studs that accent the pullstrap, shaft and toe, to the overlays of leather on the toe and pullstraps, this boot is beautifully-adorned while maintaining a casual look. 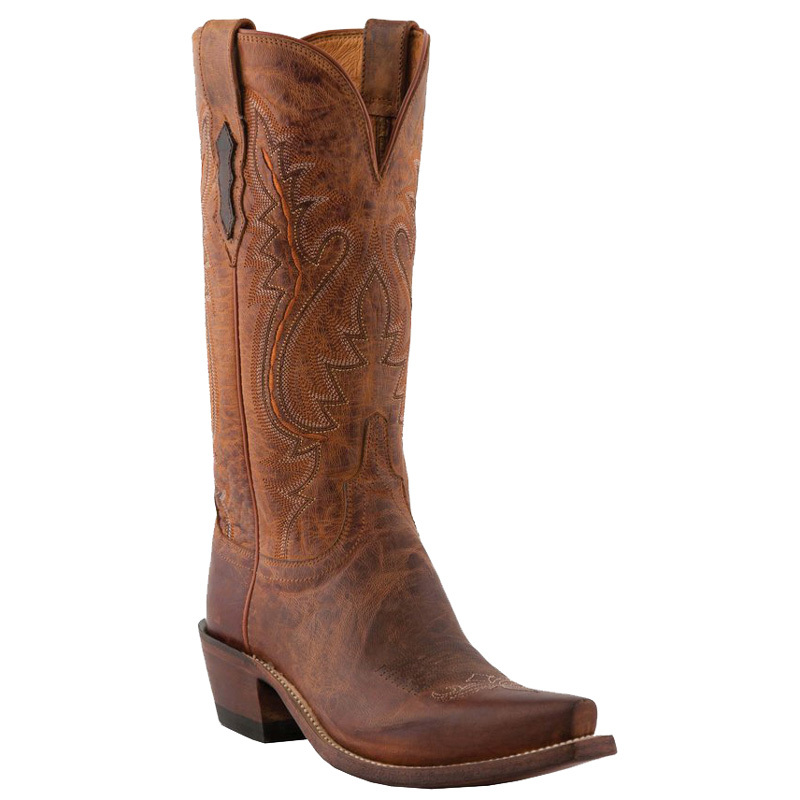 Lucchese since 1883.